Our hearty and delicious meatloaf grilled cheese sandwich! Our Classic Breakfast With Eggs! 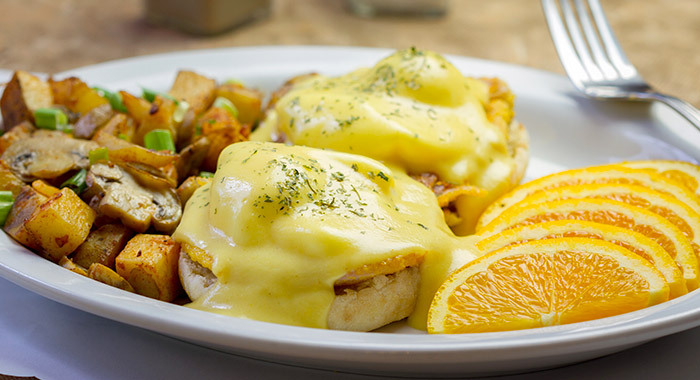 EGGS BENEDICT: Served with home fries, orange slices and coffee. Located in Picton Harbour Inn at 33 Bridge St, The Lighthouse Restaurant is open daily from 7:00 am to 1:30 pm. We serve delicious home-style cooking for breakfast and lunch. The Lighthouse Restaurant has been voted County Weekly News Readers’ Choice Favourite Breakfast for several consecutive years. The casual atmosphere, friendly service, and reasonable prices make it a popular destination for visitors and residents alike. "We had breakfast at the Lighthouse Restaurant and the food and service were great. Front desk staff at the Inn were friendly and very helpful." 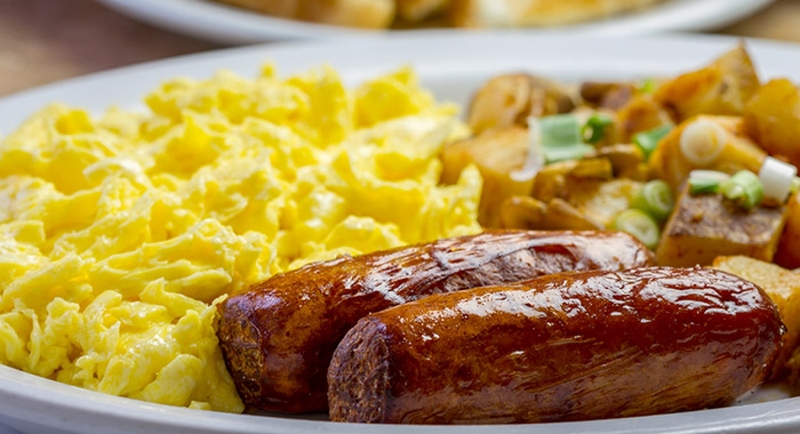 "...the attached restaurant serves and amazing breakfast with outstanding service." "The restaurant at the hotel also has an amazing breakfast!! I would definitely recommend staying at this hotel and will be going back again next time we go to the County!!!" "Not only was the food excellent but the staff were so wonderful with my one year old! Thank you!" "The only place I will ever have breakfast! One of my most favourite restaurants in town!" "The restaurant service was very quick and the food, specifically the eggs Benedict, exceeded expectations. The owner and staff were very friendly."